Francisco Munoz Alvarez is an author and popular speaker at many Oracle conferences around the world. 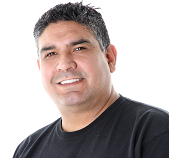 He is also the President of CLOUG (Chilean Oracle Users Group), APACOUC (APAC Oracle Users Group Community, which is the umbrella organization for all of APAC), IAOUG (Independent Australia Oracle Users Group) and NZOUG (New Zealand Oracle Users Group. He also worked in the first team to introduce Oracle to South America (Oracle 6 and the beta version of Oracle 7). He was also the first Master Oracle 7 Database Administrator in South America, as well as the first Latin American Oracle professional to be awarded a double ACE (ACE in 2008 and ACE Director in 2009) by Oracle HQ. In 2010, he had the privilege to receive a prestigious Oracle Magazine Editor's Choice Award as the Oracle Evangelist of the Year--a huge recognition for his outstanding achievements in the Oracle world that includes the creation and organization of the already famous OTN Tours that are the biggest Oracle evangelist events in the world. Currently, Francisco works for Data Intensity, which is a global leader in data management consulting and services, as the Director of Innovation. This is a live demo presentation that will should you all about how to use Oracle Machine Learning within the Autonomous Data Warehouse Cloud Service (ADWC). Learn about OML, Key Concepts, Running SQL Statements, Scratchpad, Notebooks and much more! Redo generation is a vital part of the Oracle recovery mechanism. Without it, an instance will not recover when it crashes and will not start in a consistent state. Excessive redo generation is the result of excessive work on the database. This presentation covers the subject of reducing redo generation using LOGGING and NOLOGGING options, the differences between them, how it happens, how to reduce it and when to use. Also, you will find examples and tips regarding each one of them. Logging is crucial to ensure performance and recoverability of any Cloud or in premises environment. Python is probably the most trending programming language you can learn these days! It's very popular because it's easy to learn and use, runs on all operating systems and allows you to build a broad variety of programs: Be that web applications, desktop applications, utility scripts or using it for data science and machine learning. In this session, you'll learn how to use Python within Oracle Cloud - and you'll do so by going step by step in how to build your own Blockchain and Cryptocurrency. These are of course also highly trending topics and not a lot of people understand what a Blockchain really is. A must attend sessions for any IT Professional!